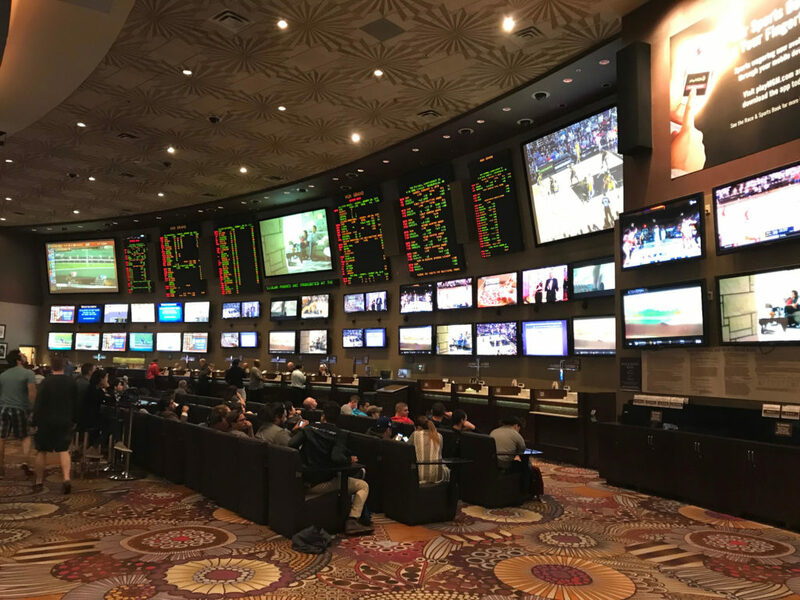 Among the dazzling lights and cheap attractions that make up the Las Vegas strip are a bunch of great gems that make up a sports bettors paradise. There are a variety of factors that make the difference between a good and a bad sportsbook. Most notably, these differences are the amount and size of televisions, available lines on different games, and the overall general feel and excitement of the area. 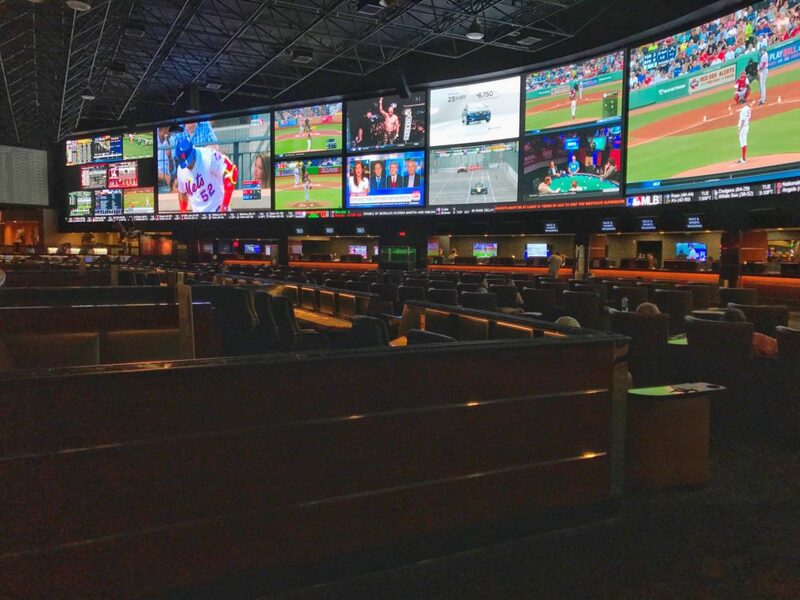 Below, we will discuss what we think are the top 5 sportsbooks on the Las Vegas strip (simply because these are the most convenient for most tourists). We have also reviewed online sportsbooks that take on U.S. customers at Top 5 Online Sportsbooks for U.S. Players. We originally published this article back in December of 2013 and we review the books again every six months. While there hasn’t too much change among the Top 5 over the past three years, there is a decent amount of sportsbook construction going on right now. So, it’s very likely that this list during our next go around! Another blog that may be of interest is our breakdown of the Best Nevada Sports Betting Apps. These days the sportsbooks on this list and the apps that we mention in the blog pretty much go hand-in-hand, so this is a great reference. As always, we hope you enjoy! It might be the smallest sports book that we have on this list, but don’t be fooled by it’s size. The somewhat confined space of the sports book actually adds to the energy of the area, particularly during big events. There are three big screen televisions (one is always on horses), and a variety of smaller televisions that cover all the main games of the day. Seating fills up very fast, so if this is your destination of choice, then we recommend you arrive early to find a seat! The Planet Hollywood Sportsbook may not be a selection that one would expect to have found on this list, but it certainly has it’s allure. Planet Hollywood is a small sportsbook, but yields a very intimate setting to watch a variety of games. There are only a select few really good seats in this sportsbook so it can definitely be a drag to show up during a busy football Sunday, March Madness, etc. The sports ticket tellers are very generous with drink tickets as you can get one drink ticket for about every $100 to $150 dollars bet. The Wynn will never cheap out on anything and this is very clear with their newly renovated sports book. The unique design has televisions circling the room in a 180 degree fashion so that games can be seen from all angles. The seats are comfortable and all provide USB and electrical outlets for cell phone charging while you watch the games. Cocktail service is absolutely top-notch with servers coming by every five to ten minutes to check in on you. This place definitely has a slightly stuffier clientele, so if that isn’t your thing, then the Wynn may not be for you. 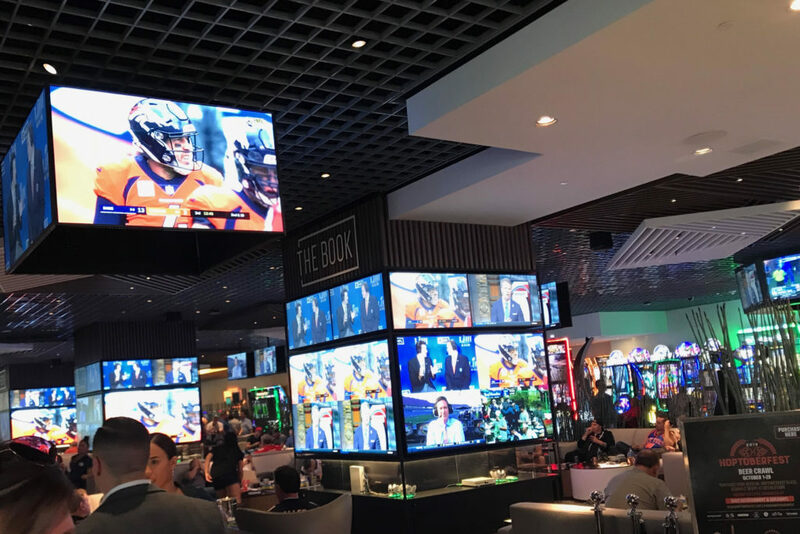 For the bettor that likes to place parlay bets and watch multiple games at once, I would say that the MGM Mirage is the best place to go. 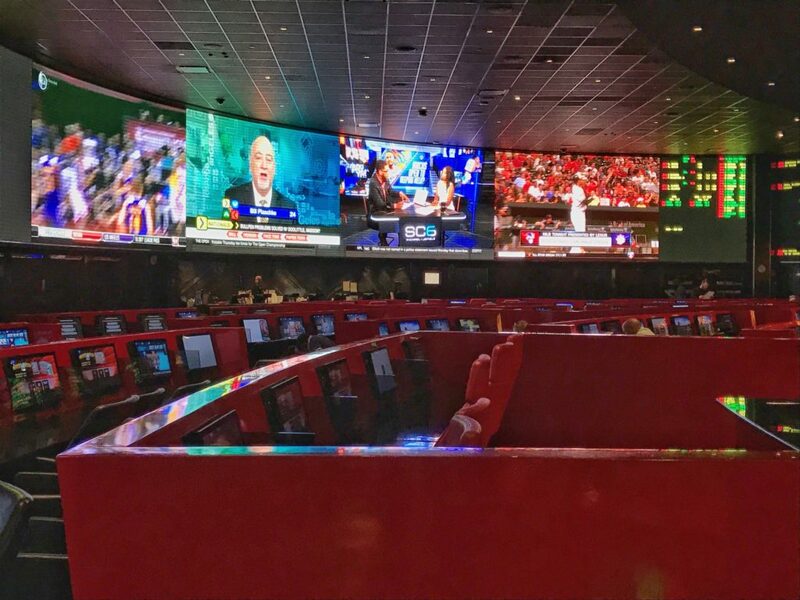 When we originally published this blog back in December of 2013, the Mirage certainly wasn’t one of the more comfortable places to watch sports with outdated seating. With their latest upgraded seating and new VIP area, this book has now become a premier spot to watch your favorite games! 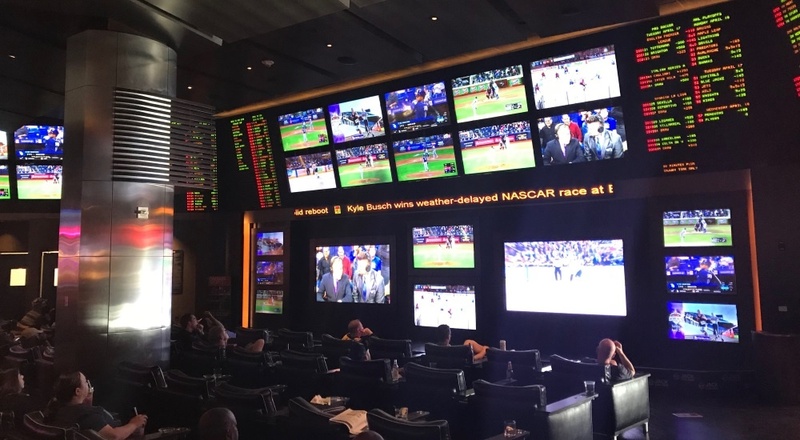 Almost without realizing it, when last in Las Vegas, we spent most of our time in this sportsbook as it has a great location on the strip combined with a great viewing atmosphere. Our one major gripe is that MGM put a lock down on free drink tickets across all their properties starting on Super Bowl week in 2018. You now get one free drink ticket per $500 bet! One would almost think they are trying to keep people away from their sportsbooks. So on top of having some of the worst betting odds in Vegas, MGM now has the worst drink policy in Vegas as well. This doesn’t make us happy! Opening in September 2018 and just in time for the NFL season is this great concept for the modernized sports book. The Book at the Linq offers the customer a unique experience with fan caves, huge televisions, and even an Xbox. To reserve one of these fan caves will cost you some money on game days, but the experience is absolutely worth the price of admission. The food and drinks are suburb and the atmosphere during the games is electric! Capable of showing up to 42 games or events at one time, the Venetian is very well deserving of the #3 spot on this list. At the time of this writing, the Venetian has 118 personal betting stations powered by CG Technology. The Venetian sportsbook is absolutely massive (10 x 100 feet) and boasts one of the biggest screens on the Vegas strip. This sportbooks thrives on all nights and adjusts very well for when there is big events. Checking in at #2, is Caesar’s Palace which impresses with it’s size, massive televisions, and comfortable seating arrangements. Renovated in late 2015, Caesar’s is in a great spot in the middle of the strip to watch all of the night’s major action. The renovation was said to be in the $1.5 million dollar range and the improvement certainly shows. Like Planet Hollywood, Caesar’s is very generous in giving out free drink tickets with sports bets in the range of one ticket per $125 bet. Our one complaint is the abysmally slow cocktail service. If you need a drink, you almost always have to get up and go to the bar. Overall though, Caesar’s is a very fun and comfortable spot that makes it easy to watch a variety of different games at one time. 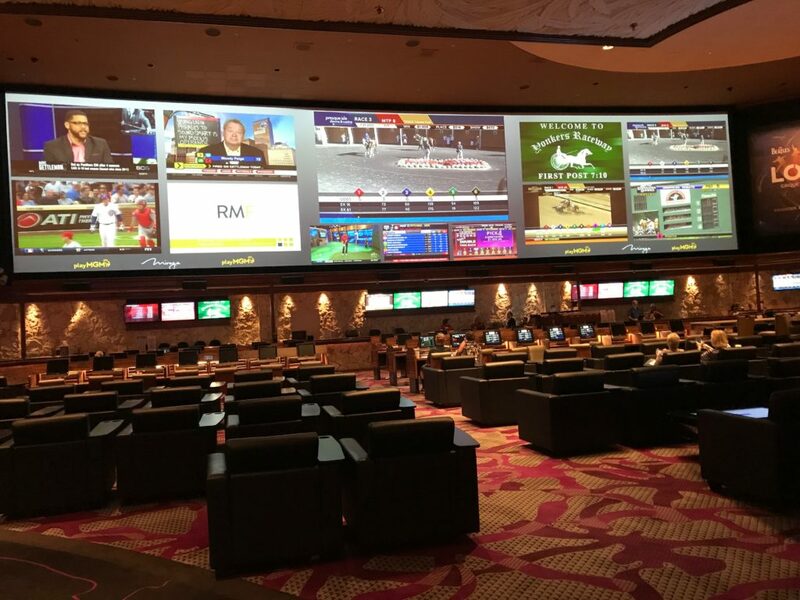 Newly renovated, this sportsbook is billed as the biggest in all of Nevada. 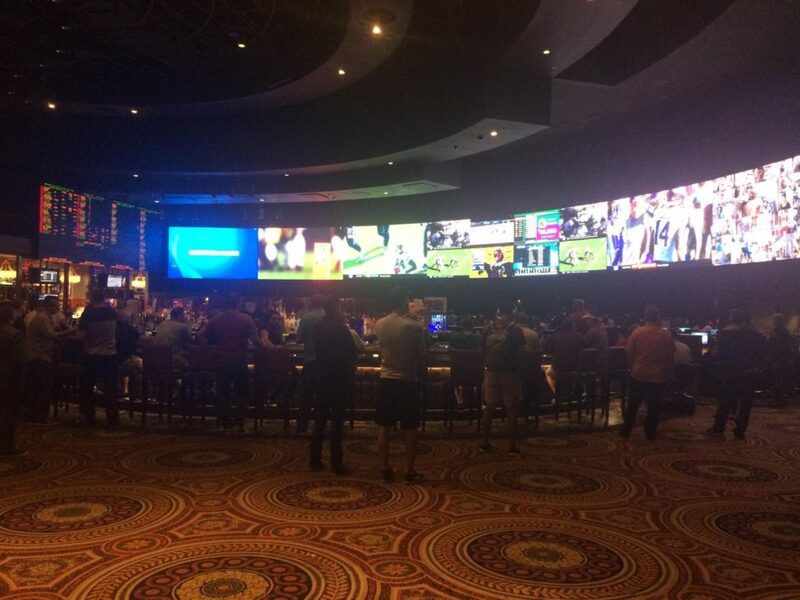 Simply put, this sportsbook is absolutely incredible and is revered as the best sportsbook in Las Vegas. Frankly, we don’t think there is even a close #2. The Westgate is stalked with 4,488 sq. foot video screens and has over 400 seats available. Even on light betting days the atmosphere in the Westgate can be considered electric! Even for the sports fan that doesn’t like betting, this place is a mecca that is beholden to see. The original posting of this blog was on December 5th, 2013. 10/29/2018: Added the Book at the Linq. 4/20/2018: Added the Wynn and Planet Hollywood to the list. MGM Mirage down to #5. Caesar’s up to #2. 1/29/2018: Removed Lagasse’s from the list and added the MGM Grand. Lagasse’s is a better fit for our upcoming blog on Best Places to Watch Sports in Las Vegas.